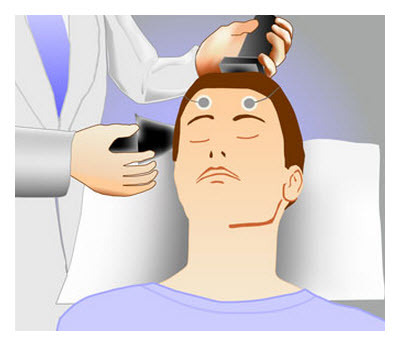 ECT for bipolar depression may be much more effective than psychiatric medications. That is the conclusion of the recently published, well designed study of 73 in patients with bipolar depression who had failed adequate trials with mood stabilizers. In the initial 2 months after the patients were randomized to either ECT or algorithm based pharmacotherapy (psychiatric medications carefully managed and prescribed according to the recommendations in Goodwin and Jamison’s book Manic Depressive Illness) significantly more patients experienced a robust response to treatment with ECT than with medications. The difference is illustrated in the picture at the right. As you can see after a month and a half (or 45 days) there was roughly a 6 point difference favoring ECT in the change in MADRS depression scores. As a point of reference, a 6 point difference on the MADRS corresponds roughly to the difference between moderate and mild depression. In other words not only is the finding statistically significant but it is clinically relevant as well. 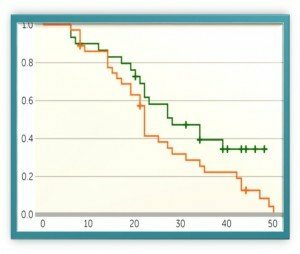 Even more impressive is the difference in the rate of non-response to treatment. 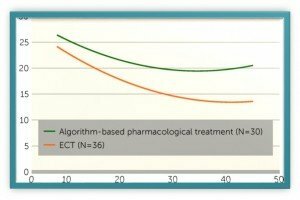 At 45 days none of the ECT treated patients were rated as having had no response as opposed to 40% of those treated with psychiatric medications. Surprisingly enough the rate of adverse effects was not much different between the two treatment groups. 2 out of the 30 patients treated with ECT reported significant memory loss. In the pharmacotherapy arm the same number of patients (2 out of 32) reported memory loss but it was milder and felt to be unlikely related to the treatment. Constipation and dry mouth were reported in about 10% of the patients in the pharmacotherapy arm. Curiously problems with concentration and focus occurred more often as adverse effects in the pharmacotherapy arm than in the ECT arm. My take on these findings is that there was probably a relatively high threshold for considering side effects to be serious, but at the same time it reflects my experience that people with severe depression are much less likely to report adverse effects because the illness itself imposes such a burden on them that it’s hard for them to notice the milder negative effects of treatment.